As a simple guy who travels quite a lot, I seek three primary things when on the road - clean, affordable and reliable. It’s a truism whether that be taking a Lyft to the airport, climbing into my seat on the plane, or arriving at my hotel. I am good as long as I know I can count on the car showing up, my plane landing on time and the hotel room being available. But I also want those things to be clean and affordable. I, like many others, have come to expect the same of our energy and our energy suppliers. 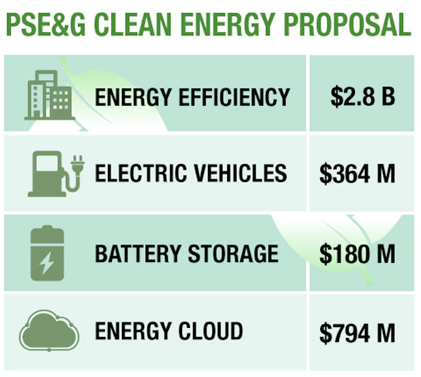 That is exactly what Public Service Electric and Gas Company (PSE&G) is proposing to do with its Clean Energy Future Program (CEF). On September 27, 2018 PSE&G proposed its CEF, an aggressive plan designed to “propel New Jersey's role as a national leader in energy efficiency and jump-start other clean energy priorities.” Following my read of the filing I can attest it does just that. That is more than $4 billion to satisfy consumer desire to use less energy and to spur the adoption of emerging technologies like electric vehicles and distributed energy resources (DERs). Investment that will stimulatejob growth, ensure a cleaner energy and equally important, save customers “about $7.4 billion” according to Dave Daly, PSE&G President and Chief Operating Officer. As a current partner - Tendril was recently selected to execute their first ever Home Energy Report (HER) Program - we intend to support PSE&G as it executes this ambitious plan. While we won’t be involved in every facet of the CEF, our experience working with dozens of innovative utilities across the country to support their efficiency and engagement efforts should help guide some of the work. Specifically, here are a handful of core principles that could be of assistance. Customer engagement is critical. Building on its existing efforts to enhance the customer relationship can help PSE&G ensure the success of the CEF. We view engagement on a customer journey continuum of engage, activate and orchestrate. Engage is about earning the trust of the customer by exhibiting an understanding of their unique situation and delivering personalized insights that resonate with them. With that trust established, customers are willing to actively choose energy savings actions and engage in more comprehensive demand side management (DSM) programs. Once activated, consumers are more likely to allow the utility to orchestrate their home energy experience through smart thermostats and other DERs to achieve the desire for clean, affordable and reliable energy in an automated, effortless experience. Not every customer will travel the full extent of this continuum but knowing which ones are most likely to excel at each step, allows utilities to maximize the value of their customer engagement strategies. The changing nature of customers demands a new approach. Customers have come to expect a certain level of understanding from their service providers. Blanket messaging and customer offers no longer move the needle like they once did. Instead, we should use the mass amounts of data available to personalize messaging and savings projections. Energy efficiency can be an abstract concept that needs to be made real and the best way to do that is to address the pain points and opportunities that are individual to the customer. For instance, we can run models that identify leaky homes and present those customers with offers for weatherization services. This approach is in contrast to generic communications that present the same offers or insights to everyone. In fact, one leading utility using Tendril personalization, lifted lighting program participation rates by more than 2x by only sending the offer to those eligible and likely interested in participating. There is no silver bullet. Achieving the goals laid out in the CEF will be best served by offering a range of efficiency, engagement and analytics tools. Going back to the point that all customers are different, it’s important the products used to engage and educate those individuals are different as well. Some customers will want their Home Energy Reports delivered via email as opposed to physical copies in the mail. Others don’t really care about their monthly usage comparisons but do want to know if they are in danger of going over their allotted spend. Tendril is even working with one Midwestern utility to deliver energy insights and notifications over smart speakers. Once the right cadence and channels are determined for each customer, the power of engagement is unlocked. With the CEF, PSE&G is accelerating New Jersey’s leadership as an energy innovator. They are also primed to show the world that utilities have made great strides in being customer-centric. From what we’ve seen in working with PSE&G and our 20+ other customers, as well as the ambitious plans put forth by other utilities it’s clear that energy providers are on a great path to transforming their customer relationships and delivering on these aggressive and compelling transformation plans. We look forward to be a part of this successful effort.